One of the last sections is "The Functioning of Myth" and Campbell goes into great deal to extrapolate the introductory section. "The ends for which men strive in the world," writes Campbell, "are three-- no more, no less; namely: love and pleasure (kāma), power and success (artha: pronounced 'art-ha'), and lawful order and moral virtue (dharma). The Masks of God: Primitive Mythology (1959) by Joseph Campbell is the first book of four in a massive attempt to connect the cultures and religions of the world. Campbell begins this endeavor far back into history, well beyond the birth of language and later civilization by discussing the natural history of the gods and the psychology of myth. According to one view Campbell poses, “a functioning mythology can be defined as a corpus of culturally maintained sign stimuli fostering the development and activation of a specific type, or constellation of types, of human life” (48). Functioning Mythology will be one of the main themes of this book. One of the beginning themes of the book is the existence of Imprints in people from childhood to adulthood and, even, in godhood. An Imprint would be a symbol or essence within the human mind that is innate. One instance of this is in “The Imprints of Experience” when Campbell discusses the fear of darkness in children. “The fear of the dark,” writes Campbell, “which is so strong in children, has been said to be a function of their fear of returning to the womb: the fear that their recently achieved daylight consciousness and not yet secure individuality should be reabsorbed” (p 65). 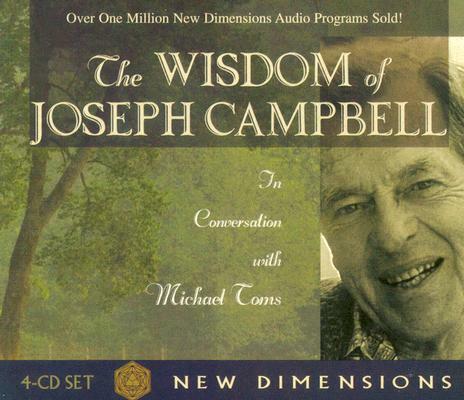 Concerning God, Campbell writes: “We observe, for example, that whereas in the Greek and Hebrew versions man is split in two by a god, in the Chinese, Hindu, and Australian it is the god itself who divides and multiplies,” and Campbell examines these religious beginnings in depth later on in the book (109). Campbell uses these last examples, as he does with many more, to illustrate how many cultures and religions are similar because all of mankind shares similarities in the make-up of human psychology. 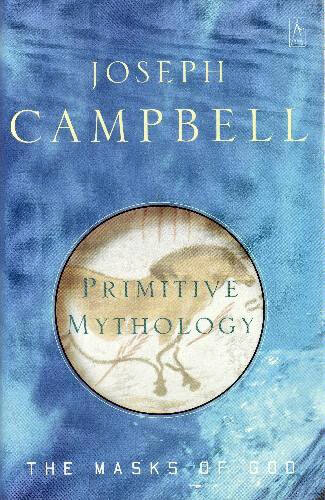 Campbell quotes Dr. Jung best as to why this is the case: “But beyond that there is a thinking in primordial images–in symbols that are older that historical man; which have been ingrained in him from earliest times, and, eternally living, outlasting all generations, still make up the groundwork of the human psyche” (125). Later, Campbell goes into an in-depth analysis of how civilizations were formed over several thousand years (mainly up to and during the Paleolithic and the Neolithic Periods). Simultaneously, he discusses the creation of the Story that grew into Myth and finally into Religion (i.e., a priesthood) within these cultural hot spots which would sprout civilizations across the globe in Europe, the Middle East, India, and Asia. One of the more interesting subjects he discusses in this section is the creation and vital importance of the ziggurat (palace). The earliest ziggurats, Campbell explains, would appear sometime in the fourth millennium B.C., which the ziggurat ultimately symbolizes “the pivot of the universe, where the life-generating union of the powers of earth and heaven was consummated in a ritual marriage” (145-146). In “The Immolated Kings” and “The Ritual Love-Death” sections Campbell relates several stories, or myths/legends, that are unusual and highly interesting as far as plots go; these stories are also shown how they connect with other stories throughout various cultures/regions. This is one of the better sections of the book that will likely be of greater interest than some of the other drier sections that primarily focus on historical facts and research as evidence of support to Campbell’s thesis. One of these stories includes, obviously, the act of human sacrifice: “The two young people had to make the new fire and then perform that other, symbolically analogous act, their first copulation; after which they were tossed into a prepared trench, while a shout went up to drown their cries, and quickly buried alive” (p 169). Wow! What a way to go– if one is to be sacrificed for the greater good of the community, that is. One of the last sections is “The Functioning of Myth” and Campbell goes into great deal to extrapolate the introductory section. “The ends for which men strive in the world,” writes Campbell, “are three– no more, no less; namely: love and pleasure (kāma), power and success (artha: pronounced ‘art-ha’), and lawful order and moral virtue (dharma) (p 464). The book and Campbell’s ideas and examples are too vast to go into great depth here; however, any reader who values his/her own scholarship (i.e., learning at a high(er) level) will not be disappointed in Campbell’s vigorous research that, to this reader’s professional judgment, proves his thesis quite strongly. Dr. Rasmussen writes of the shamans during the Fifth Thule Expedition (1921-1924): “The only true wisdom lives far from mankind, out in the great loneliness, and it can be reached only through suffering. Privation and suffering along can open the mind of a man to all this hidden to others” (p 54). If the world were to end, I imagine The Masks of God (all four volumes) would be among the treasured volumes saved from destruction. There is far too much history, knowledge and wisdom in these books to be ignored or to abandon. Primitive Mythology is a very, very strong recommend for those readers who take self-improvement through education seriously and desire a greater and fuller understanding of the world in which they live. Now on to Book Two: The Masks of God, Vol. II: Oriental Mythology. thіs. Thank yоu ffor sharing.